"A popular 2D side scrolling action game for your PC." King Arthur's Gold is a great side scrolling action game for your PC. You can play as different characters and complete the game how you want. This game is all about freedom as it adjusts to your playing style. You dont have to play the same way as anyone else. You can build your own freeform constructions as a medieval builder, go sword to sword as a knight in battle, or snipe with your bow and arrow as a feared archer. From the creators of Soldat, King Arthur's Gold brings you a good blend of the Lost Vikings, Metal Slug, and Worms. In King Arthur's Gold you can: build freeform defenses, destroy the enemy's castles with physics and explosives, travel by land, water, or air - you can even dig tunnels. Use the environment to burn or drown enemies, interact with living animals and plants. Drive siege machines into battle with your friends. Fight with up to 32 players in online multiplayer mode and freely switch between the three classes of players at any time. 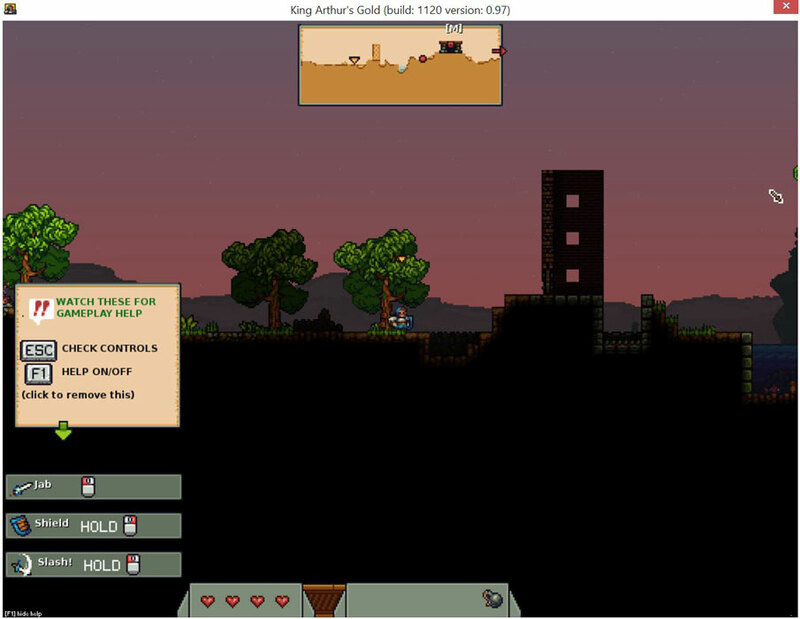 The game also allows players to create their own adventures through community developed scripts and mods that you can download and apply to your game only adding to the fun.